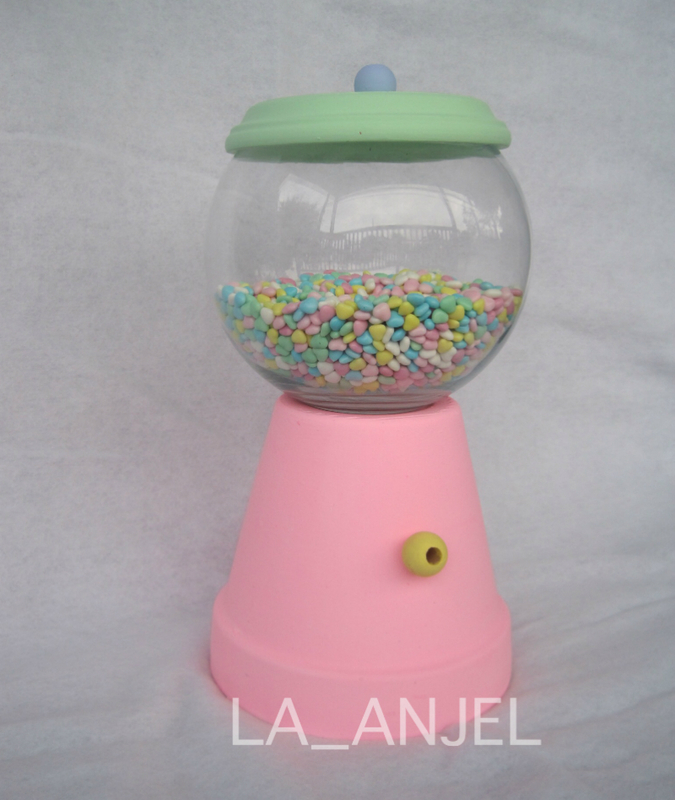 Bubble gum machine - Fueled by chile, frijoles & tortillas. As seen on Instagram… (I am not a big Pinterest person). 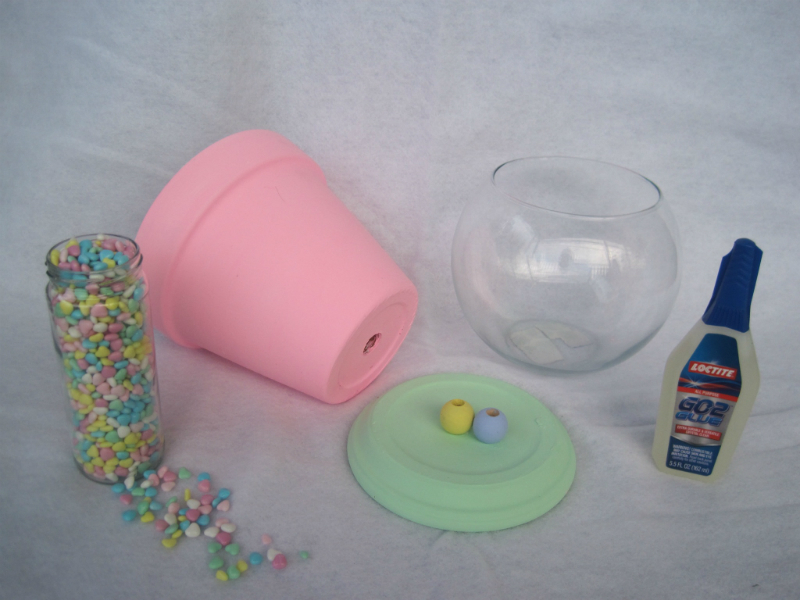 My goal on this project was to see if I could recreate a cute bubble gum machine. The process was super quick and easy. First, I painted the planter and planter dish. 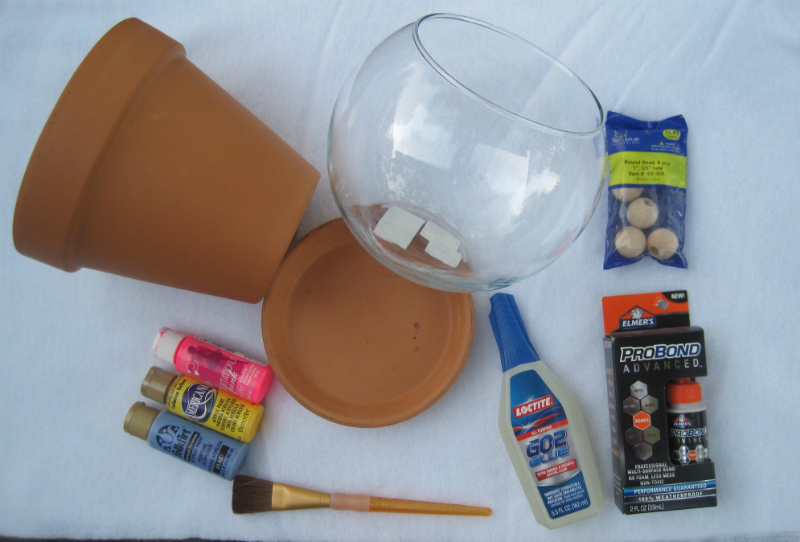 Then I glued the wooden beads to the planter and dish. Finally, I assembled and glued the bottom of the dish bowl to the bottom of the planter. Other than that, I just bought candy and filled up the bubble gum machine. This craft was very easy and fun. The finished project is perfect for a party.